Life, Doctor Who & Combom: Poll: What did YOU think of Last Christmas? Poll: What did YOU think of Last Christmas? Last Christmas has finished now in the UK. What did you think of the episode? Vote on the poll below and we'll reveal your thoughts in 1 weeks time on New Year's Day. 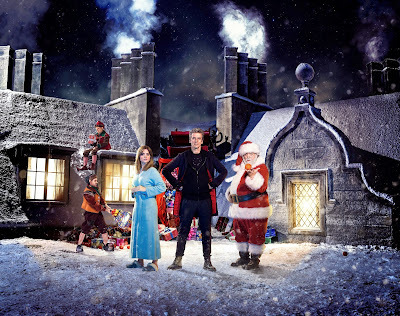 What did you think of Doctor Who: Last Christmas? You can also comment your opinions in full on the blogpost below. You can view my rather critical thoughts on the episode in our non-spoiler review here.